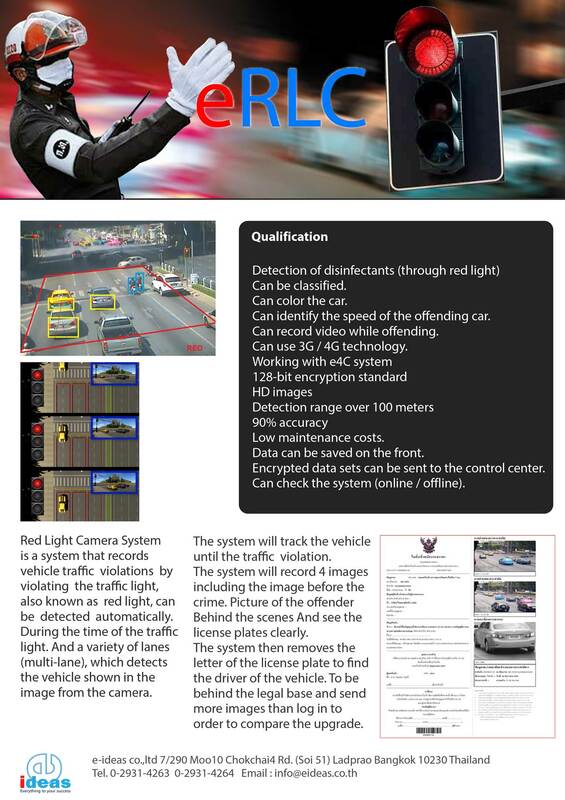 e-Ideas Red Light Camera (eRLC) is a system developed by e-Ideas that assist the authorities in enforcing traffic laws on a specific area where eRLC are installed. eRLC automatically detects different types of vehicles such as cars, trucks and motorcycles who violates a specific traffic law where a certain vehicle enters a prohibited zone while the traffic light is in RED signal. Red Light Camera Vehicles that violates the said traffic law will be automatically captured by the system (eRLC) and forward the captured data back to the Control Center which can be used as evidence by the traffic law enforcer.